This project was a fun one to work on. Rob had loads of family pictures (over a hundred) from his travels with his wife around the globe. 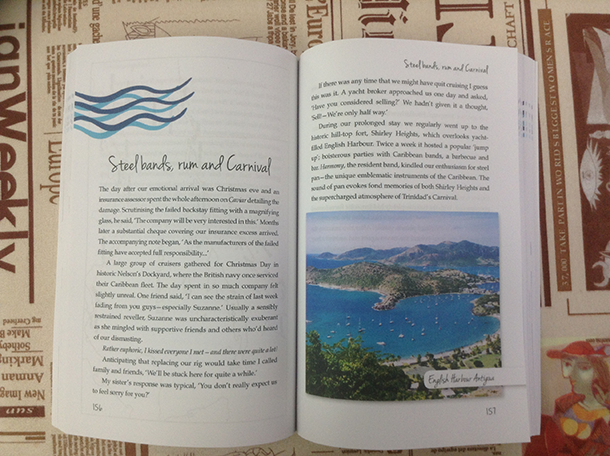 We designed the print layout of Rob’s book using the supplied text and images. We made some adjustments to the photos to make sure they appeared to the best effect in the book. Once we had the layout and Rob was happy we moved onto the cover. 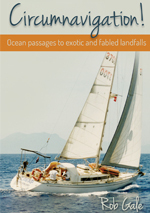 We used another of Rob’s travel photos, and his blurb, to create the print cover. 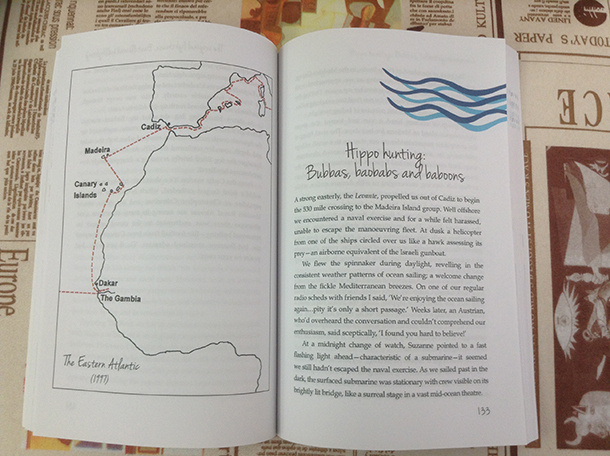 Once we were all happy with the print layout and the cover we sent it to print-on-demand to be printed in full colour. Rob ordered some copies for himself that arrived just before Christmas and was happy with the result. 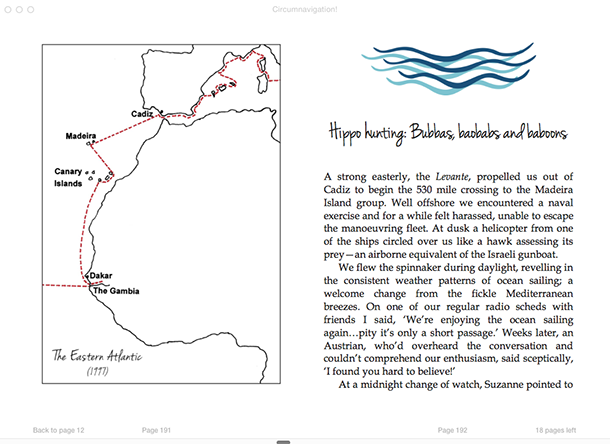 We then converted Rob’s print book into an ebook. Some adjustments were made from the print layout to do this conversion, but overall the result is very similar to the print layout. Rob was a pleasure to work with and we wish him all the best. 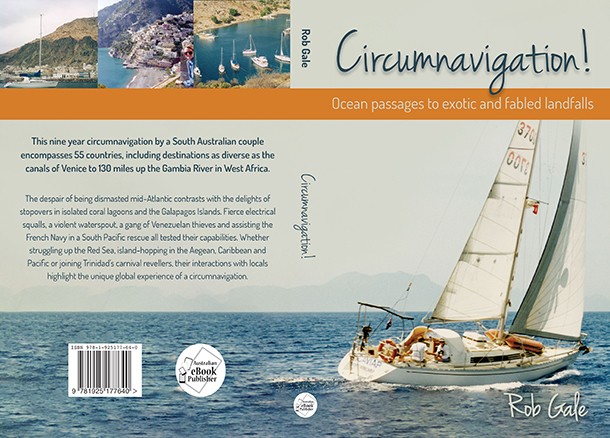 This nine year circumnavigation by a South Australian couple encompasses 55 countries, including destinations as diverse as the canals of Venice to 130 miles up the Gambia River in West Africa. 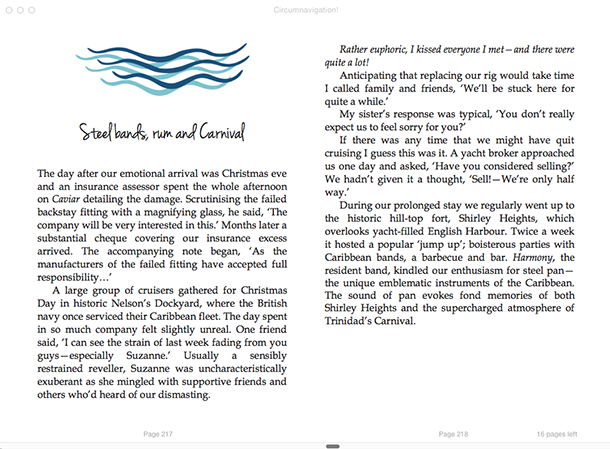 Pacific or joining Trinidad’s carnival revellers, their interactions with locals highlight the unique global experience of a circumnavigation.